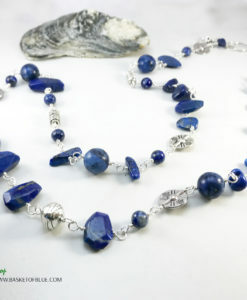 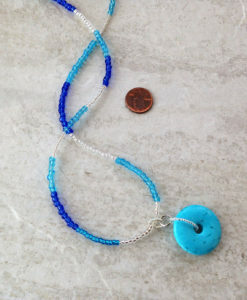 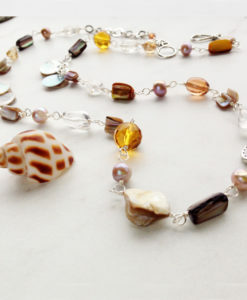 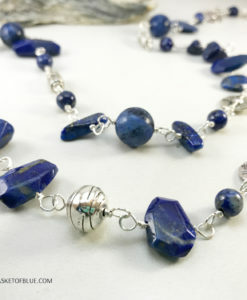 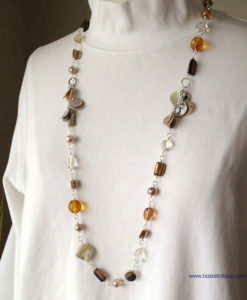 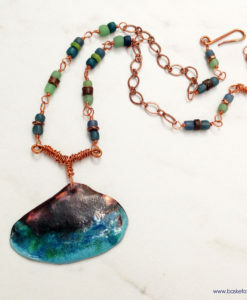 Rustic Enameled Shell Necklace, with recycled glass and Iolite. 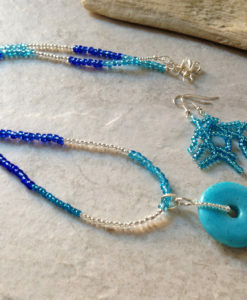 Inspired by salty waters and rustic beaches. 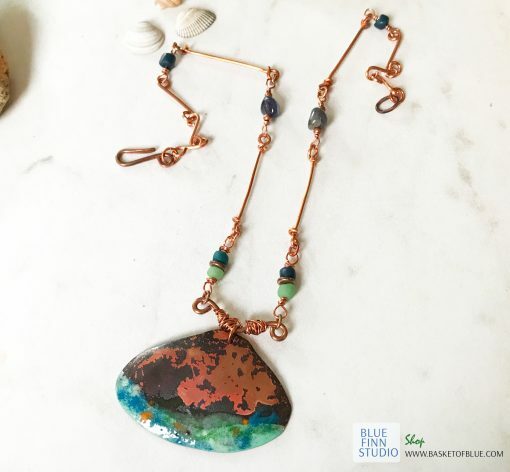 Handcrafted copper components and clasp. 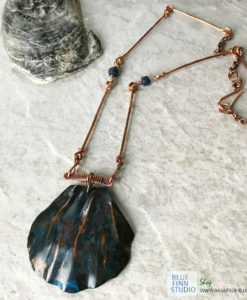 Unique, rustic and Boho! 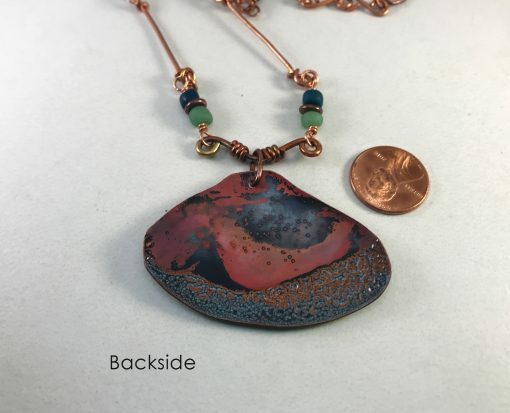 The enameled copper shape is 2 1/8 x 1 1/2 inches. 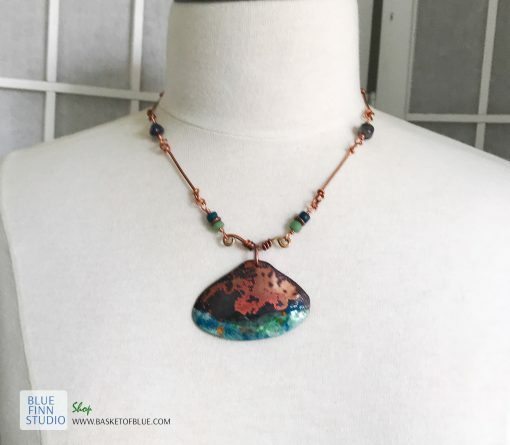 Handcrafted copper chain and clasp. 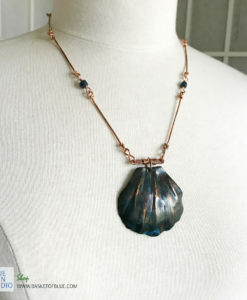 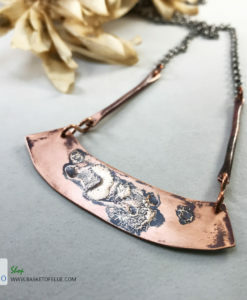 This copper shape is cut from pure copper sheet, formed and shaped, enameled with a torch, combined with recycled glass and Iolite with flamed copper wire wrapping. Nice color with partly exposed copper and dark fire patina. 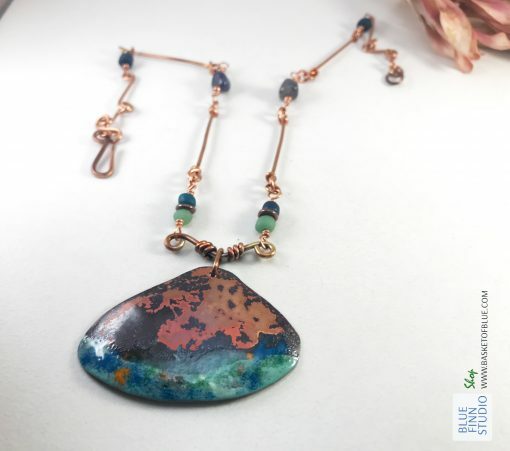 All the copper parts are handmade with care. 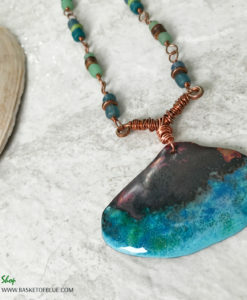 Totally rustic and boho! 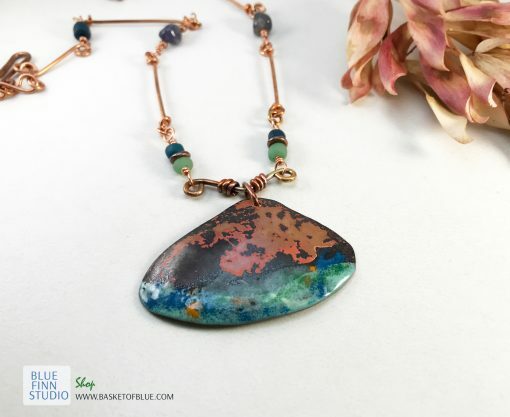 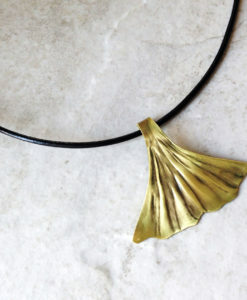 This unique artisan jewelry is created in my studio, ready to ship and will arrive in a gift box. 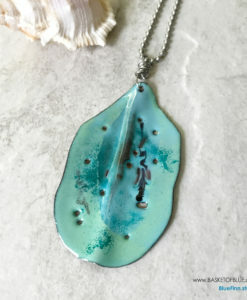 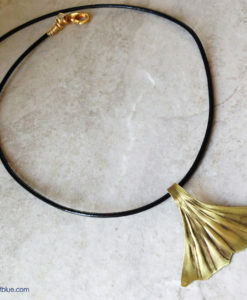 Enamel jewelry is created by fusing powdered glass to prepared metal, through multiple high temperature firings with a torch. 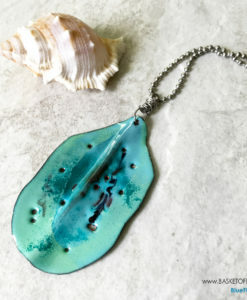 Enamel doesn’t fade and has great color. 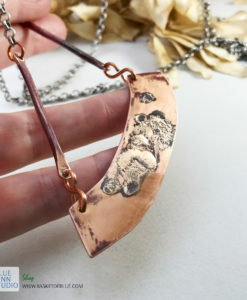 Thank you so much, this necklace is really lovely!